1700 Junior branch of French Bourbon dynasty succeeds to Spanish crown: Spain henceforward an ally of Britain’s traditional enemy, France. 1716 Edward Teach ('Blackbeard') terrorizes shipping in the Gulf of Paria. 1723 Disastrous failure of Trinidad’s cacao crop. 1728 Caracas Company granted trading monopoly, and this cripples Trinidadian agriculture by its low producer prices. 1748 French expedition from Martinique attempts to settle Tobago in defiance of Treaty of Axi-la Chapelle. 1760 French government again encourages French settlement of Tobago. 1762 British expel French from Tobago and establish their capital, Georgetown. 1768 First sitting of the Tobago House of Assembly at Georgetown. 1769 British settlers move to Lampsingburg, renaming it Scarborough; the House of Assembly moves there and Scarborough becomes the new capital. 1770 Tobago slave rebellion led by Sandy fails. 1775-1781 American Revolutionary War. Rebel expedition makes unsuccessful attack on Tobago. 1777 Roume de St. Laurent visits Trinidad and devises scheme for large-scale settlement. 1781 French retake Tobago, Scarborough becomes 'Port Louis'. 1783 Charles III of Spain adopts St. Laurent’s scheme as the 'Cedula de Poblaciòn' : free immigrants of the Roman Catholic faith. The Cabildo leaves the capital, San Jose de Oruña (St. Joseph), to meet in Puerto España (Port of Spain). 1784 New governor , José María Chacón, arrives. He declares Puerto España (Port of Spain), to be the capital. 1790 French army mutinies Tobago and Port Louis is burned to the ground. 1796 Captain of HMS Alarm violates Trinidad’s nuetrality, so contributing to Spain’s declaration of war on the side of revolutionary France. 1797 British conquest of Trinidad; Picton becomes first British governor. 1799 Publication of Trinidad’s first English -language newspaper, the Trinidad Courant. 1801 Picton accused of condoning use of torture in the case of Louisa Calderón. He is later tried in England. 1802 Picton’s powers limited by the establishment of government by a Council of Advice. Peace of Amiens (ending the war with revolutionary France) cedes Trinidad to Britain but sees the return of Tobago to France. 1803 Picton recalled; war with France renewed; British recover Tobago. British possession in the West Indies now secure. 1807 British Parliament unilaterally declares the abolition of the Transatlantic slave trade. 1808 Great Fire razes Port of Spain. After years of trial, charges against Picton in the Caldero affair are finally dropped. 1815 First settlement of American Black veterans of the War of 1812 in Trinidad. Picton is killed at Waterloo. 1817 Governor Woodford purchases the abandoned Paradise sugar estate and nearby Hollandais Estate on which to establish a new Government House: he later lays out most of the Paradise estate as the Queen’s Park Savannah. 1822 Third British West India Regiment settled at Manzanilla. 1828 Governor Woodford dies at sea. 1831 Establishment of the Legislative Council of Trinidad. 1832 British Parliamentary Reform Act passes power to the reform-minded middle classes. 1833 Slave Emancipation Act passed in the British Parliament. Tobago included in the governorship General of the British Windward Islands. 1834 Emancipation of slaves. They become 'apprentices’. They are told they must work six years more before they complete apprenticeship and receive true freedom. 1837 Dagga leads unsuccessful mutiny of First West India Regiment at St. Joseph. He is executed. Royal Mail Line opens first steamship service between England and the West Indies. 1838 Formal and total abolition of slavery in the British West Indies. 1840 Cabildo of the Port of Spain replaced by Town Council. 1843 First general population census of the British West Indies. 1844 Ecclesiastical Ordinance replaces the Roman Catholic Church by the Anglican Church, thus making the Anglican Church the official church of Trinidad. 1845 First East Indian Indentured labourers arrive in Trinidad. 1846 San Fernando gets a Town Council. 1849 Governor Lord Harris divides Trinidad into counties and wards. 1850 Patrick Smith is appointed first Roman Catholic Archbishop of Port of Spain; Patrick Smith dies two years later. 1851 First regular decennial census. Lord Harris introduces a system of public schools, a piped water supply for Port of Spain, and an inland postal service, and he establishes the Public Library. 1853 Town councils of Port of Spain and San Fernando elevated to Borough Council. 1854 Cholera, which had reached Jamaica in 1851 strikes Trinidad, with high morality. 1857 Establishment of the Queen’s Collegiate School, forerunner of Queen’s Royal Collage. 1858 Anthony Trollope visits Trinidad on a mission for the British Post Office. His published account reveals strong racial prejudices. 1859 Cipero Tramway, Trinidad’s first railway, opens between San Fernando and Mission. 1863 St. Mary’s College established. 1867 Trinidad’s first oilwell drilled at Aripero by Captain Walter Darwent. 1868 Arrival of the Canadian Mission to the East Indians. 1870 Church of England in Trinidad disestablished. Inauguration of Queen’s Royal College. 1871 Start of telegraph service. 1872 Richard Rawle appointed first Anglican Bishop of Trinidad. 1876 Trinidad Government Railway opened to Arima; Belmanna riots in Roxbourough Tobago. 1877 Tobago becomes a crown colony. 1880 Visit to Trinidad of royal princes, the future Duke of Clarence and King George V; the village of Mission is renamed Princes Town to their honor. 1881 Canboulay riots in Port of Spain. 1882 Railway reaches San Fernando. 1883 Crossman Commission visits Tobago; first telephones in Trinidad. 1884 San Fernando and Princes Town suffer severe. Canboulay riots at carnival; San Fernando suffers. 1888 Governor Robinson appoints Franchise Commission. 1889 Union of Trinidad and Tobago. 1895 Business section of Port of Spain destroyed by fire. Introduction of electricity. First electric trams in Port of Spain. 1897 Railway reaches Sangre Grande. Establishment of the Trinidad Workingmen’s Association. 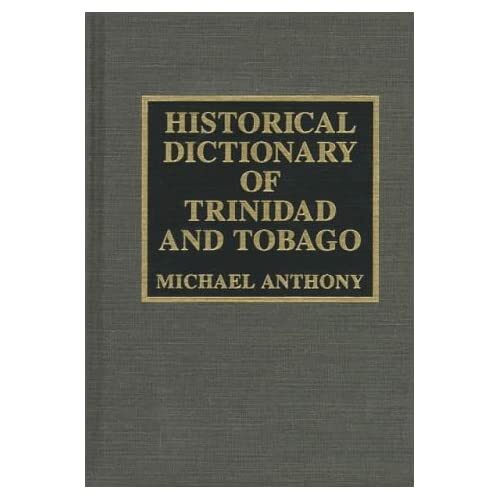 1899 Tobago becomes a ward of Trinidad. Borough Council of Port of Spain abolished from January 1. 1903 Water riots in port of Spain: Red House destroyed. 1909 First petroleum company, Trinidad Oilfields Limited, registered. Birds of Paradise released on Little Tobago. 1911 Trinidad's first cinemas, the London Electric Theater, open in Port of Spain. 1913 First airplane flight in Trinidad; pilot crashes to his death. Trinidad Leaseholds Limited is established. Railway reaches. 1914 Railway reaches Rio Claro. 1917 Government of British India puts end to the recruitment of indentured laborers for the West Indies. 1919 Longshoremen’s strike-Trinidad’s first general strike. Carnegie Free Library opens in San Fernando. 1925 First general elections. Arthur Andrew Cipriani wins seat on City Council. 1931 Opening of Piarco airport. 1933 Tropical storm strikes South Trinidad. 1934 Air pioneer Mikey Cipriani crashes to his death during flight to Tobago. 1935 Port -of-Spain hunger march. 1937 Oilfield riots at Fyzabad Tubal Uriah 'Buzz' Butler prosecuted for sedition. 1938 Moyne Commission on unrest in the British West Indies visits Trinidad. 1939 Outbreak of World War II. 1940 Inauguration of British West Indian Airways. Britain enacts Colonial Development and Welfare Act. 1941 Arrival of United States Forces as a result of the Anglo-US bases Agreement. 1942 Operation Nueland submarine campaign. Steelbands appear in the streets for the first time. 1946 First elections under adult suffrage. 1950 Trinidad and Tobago takes a great political step forward when elected members are awarded a majority of the seats in the Legislative Council. 1951 First steelband tour: Trinidad All Steel Percussion Orchestra visits Europe. 1952 Eric Williams, young university radical, returns to Trinidad as Deputy Chairman of the Caribbean Commission. He expresses concern that the Commission is not serious about the development of the region. 1956 Williams leaves the Commission and forms the People’s National Movement (PNM), which wins the elections; Williams becomes the Chief Minister, taking over many of the duties of the Governor. Texaco (Texas Oil Company) acquires Trinidad Oil Company, which shortly before was Trinidad Leaseholds Ltd.
1958 Inauguration of the Federation of the West Indies. 1959 New constitution: Trinidad and Tobago Achieves cabinet government. 1960 New constitution: full internal self-government. The former Imperial Collage of Tropical Agriculture becomes the Trinidad campus of the University of the West Indies. 1961 Jamaica votes no to Federation and causes Federation’s collapse. Trinidad and Tobago decides to seek its independence outside the Federation. 1962 Federation formally dissolved. Trinidad and Tobago achieves independence with Eric Williams as its first Prime Minister. British government enacts legislation severely restricting immigration form Commonwealth countries. 1963 Hurricane Flora devastates Tobago. 1974 Caribbean Community (CARICOM) established by Treaty of Chaguaramas. 1976 Trinidad and Tobago becomes a Republic. Hasley Crawford wins Olympic 100-meter race and is the first Trinidadian to win an Olympic gold medal. 1977 Lands leased under the Bases Agreement are completely recovered. Penny Commissiong wins 'Miss Universe' title. 1980 Tobago gets back its House of Assembly and a certain measure of autonomy in its affairs. 1981 Eric Williams dies. George Chambers becomes Prime Minister. 1984 Texaco nationalized as the Trinidad and Tobago Oil Company (TRINTOC). 1986 PNM loses general elections for the first time since its foundation. A.N.R Robinson of the National Alliance for Reconstruction (NAR) becomes Prime Minister. 1989 San Fernando made a city. 1990 Attempted armed overthrow of the Government by the Jamaat al Muslimeen, led by Imam Yaseen Abu Bakr. 1991 PNM wins general elections and returns to power. Chaguanas is made a borough. Deep-water harbor inaugurated at Scarborough, Tobago. 1994 Brian Lara establishes world cricket record for the highest test score (375) and highest individual score in first-class cricket(501). 1995 United National Congress (UNC), ties with People’s National Movement (PNM) in general elections, (17seats each). National Alliance for Reconstruction, with two seats, joins UNC and coalition government is formed with Basdeo Panday of the UNC as Prime Minister. 1998 Wendy Fitzwilliams wins 'Miss Universe' contest. 1999 Trinidad and Tobago host The 'Miss Universe' contest.